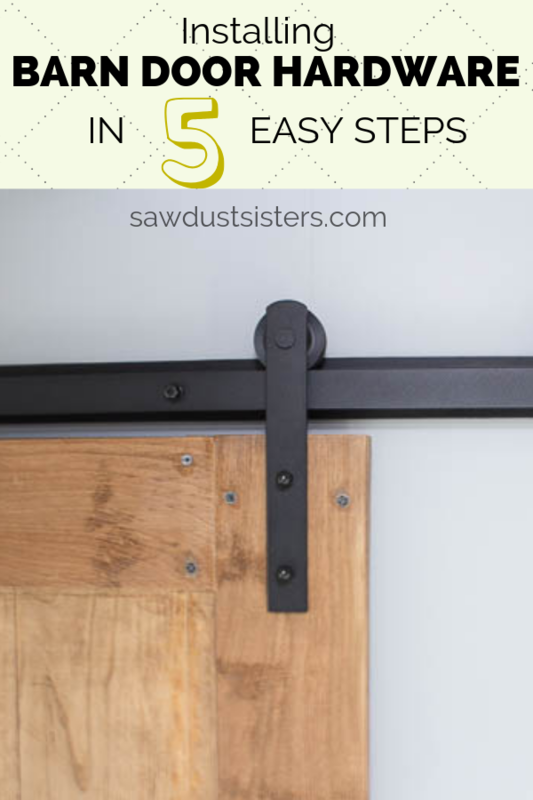 Installing barn door hardware can be a simple process. 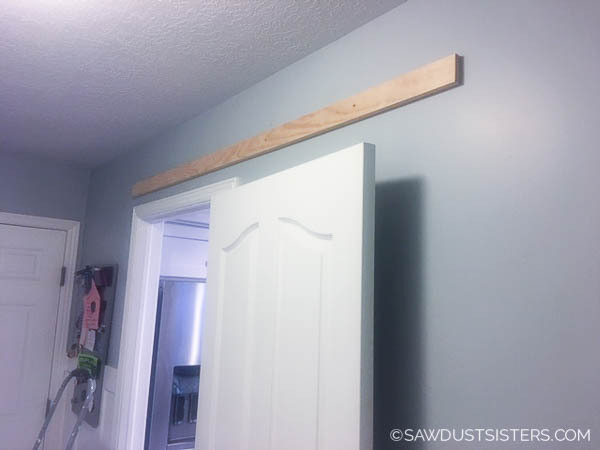 Follow the step by step instructions ahead to hang hardware onto wooden studs on regular drywall. Be sure you follow all safety precautions, and refer to the manufacturer’s instructions for installation on cement walls and any other details not included here. Scroll to the bottom of the post for information on the floor guide. 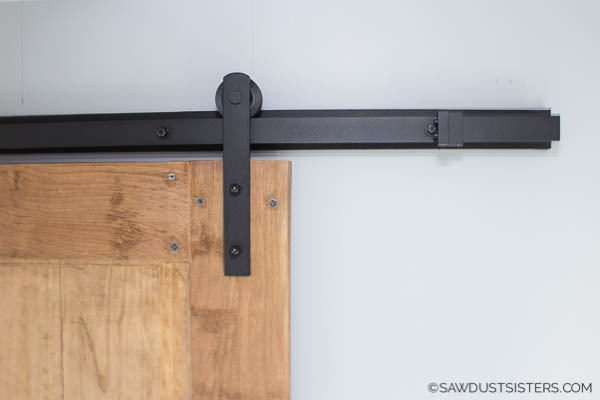 The first time I took a stab at installing barn door hardware was when I built the sliding door window shutter in my son’s room. At first, I was nervous. After doing some research, I realized that every situation is different, every wall is different, and every door is different. So, the only way to see if I could do it was to try. So, naturally I waited until Duane was traveling on business to give it a whirl 🙂 Probably not the smartest decision, given that a second pair of hands would’ve been helpful. But I did it, and I have no doubt you can do it, too. Are you ready? Be sure to read the entire tutorial before you try it! The one thing that made the process pretty easy both times, even for a novice like me, was to hang a 1×4 mounting board to the studs and attach the hardware to it. The side by side pictures below show the kit I purchased. 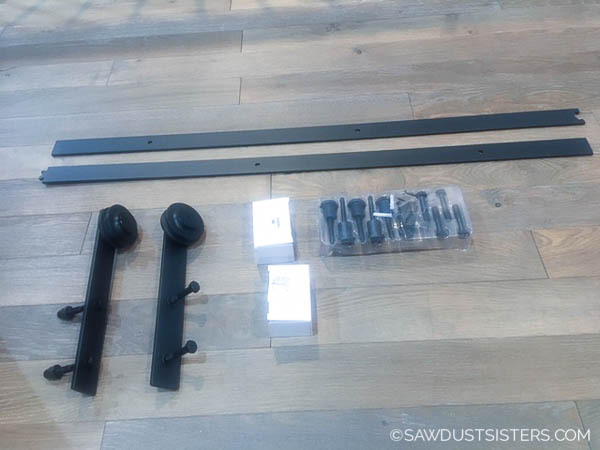 You can use this kit to hang a standard size door that is no thicker than 1- 3/4″. The 6′ bar comes in two 3 foot pieces that join at the center. 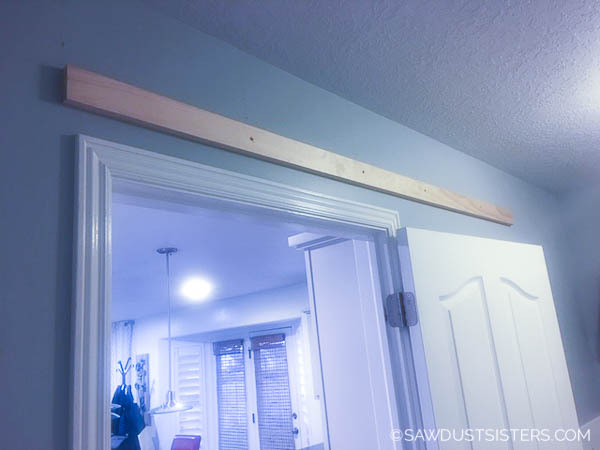 Using a stud finder and a level , hang the mounting board on the wall studs. 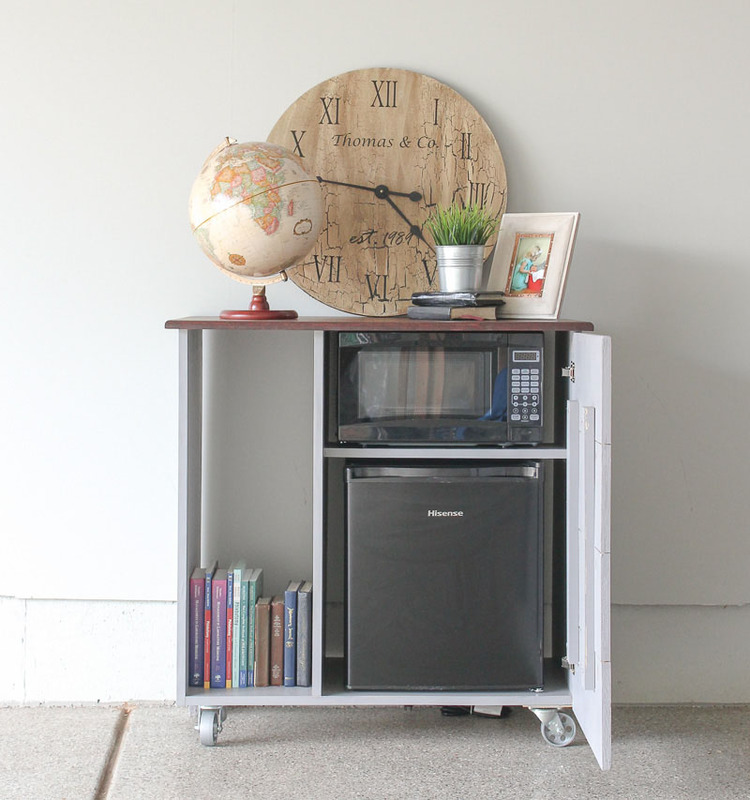 I used 3″ wood screws to attach it and made sure I place a screw on every stud. 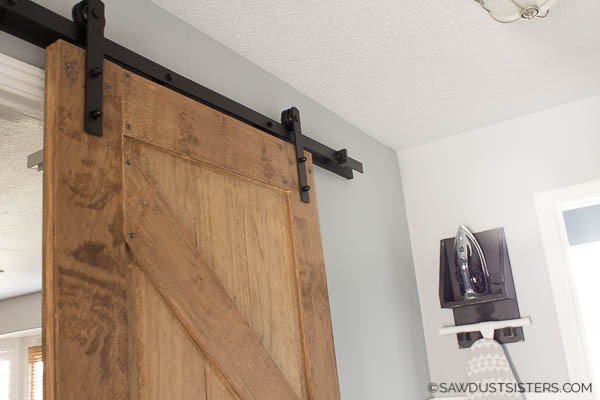 The mounting board offers extra support (remember you’ll be hanging a super heavy door on it) and makes the process easier. Having the board also allowed me to leave the existing door casing. A definite plus! Since I hadn’t built the door yet, I hung the board at a random height, making sure I left enough room above it for clearance. 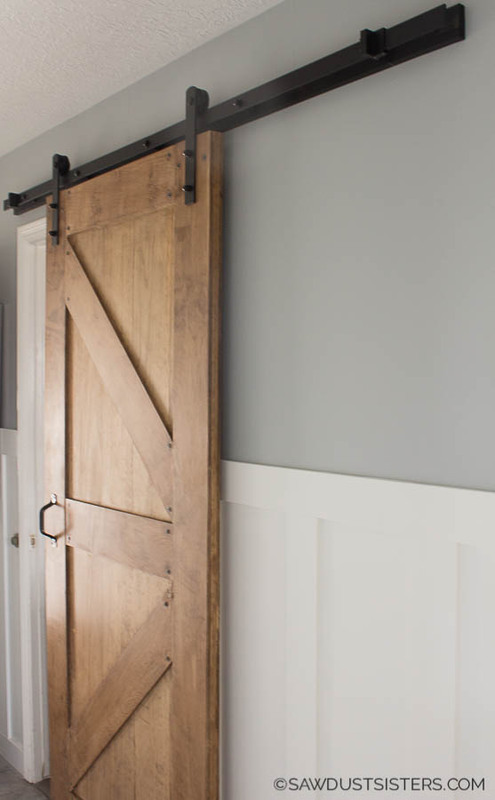 When building a sliding door from scratch, I recommend you hang the hardware first, measure the size of the door from there, and build accordingly. Be sure to leave some room between the door and the floor for the floor guide (about 1/2 inch). I recommend you paint the board to blend in, not stand out. I painted mine black to match the hardware. You could also paint it the same color as the wall, like I did in my son’s room. 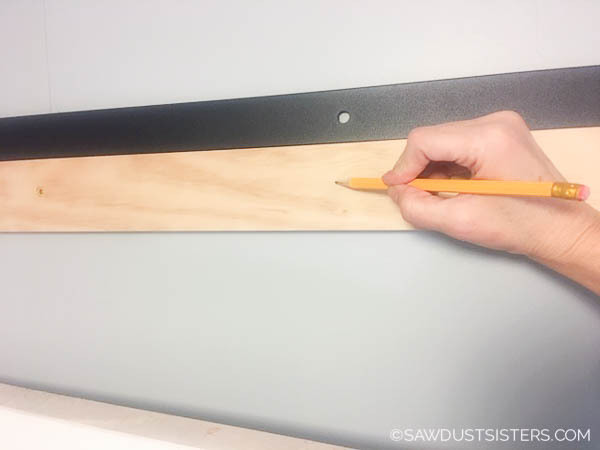 Once the paint is dry, rest the metal rail above the mounting board and make pencil marks on the 1×4 that line up with the predrilled holes on the rail. Once all are marked, drill pilot holes in those places. 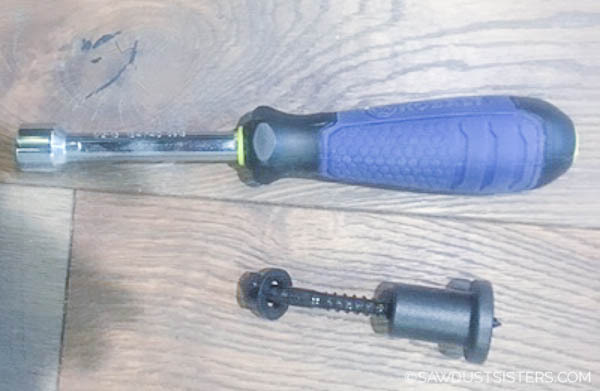 Use a drill bit that is slightly smaller than the screws that come with the kit. 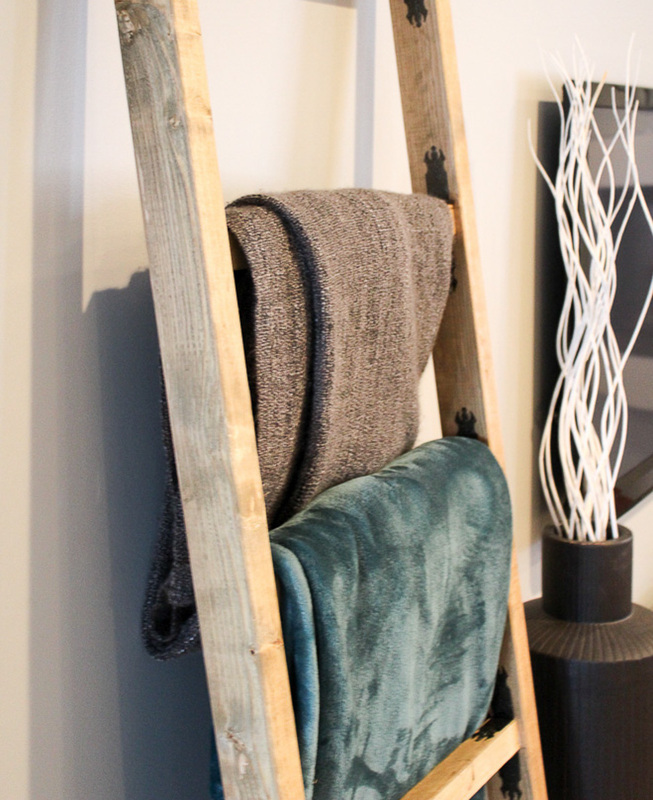 At this point you’re ready to hang the metal rail. Get yourself a helper if you can. It’s possible to do it solo, but can be frustrating. And since you’ll likely be standing on a ladder you should be safe. 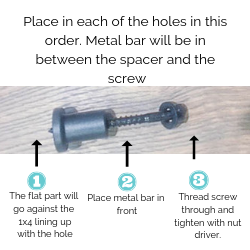 You will need a nut driver to tighten the screws. Mounting Board—>Spacer—> Rail—> Washer—> Screw. See the picture below for a visual. Placing the door stops. 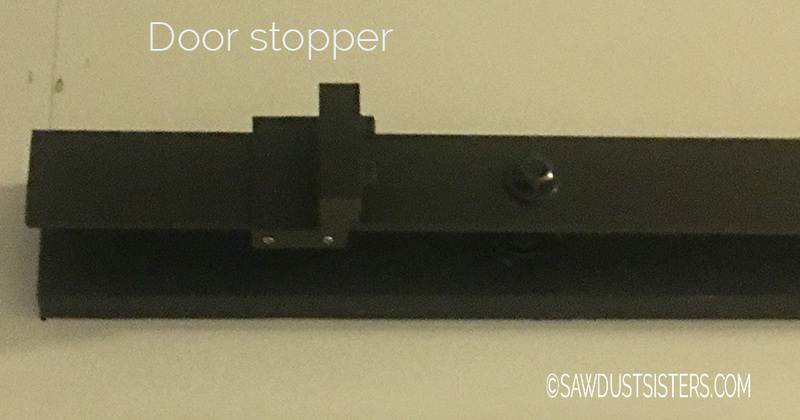 Before you install the spacers on each end, be sure you know whereabouts you will want your door to stop on each end of the rail. In my case, I was able to slide the door stoppers in after the rail was on. Phew! But, you can see the predicament if you need to place the stopper farther in. You may need to slide the stopper in before you install the end spacers. 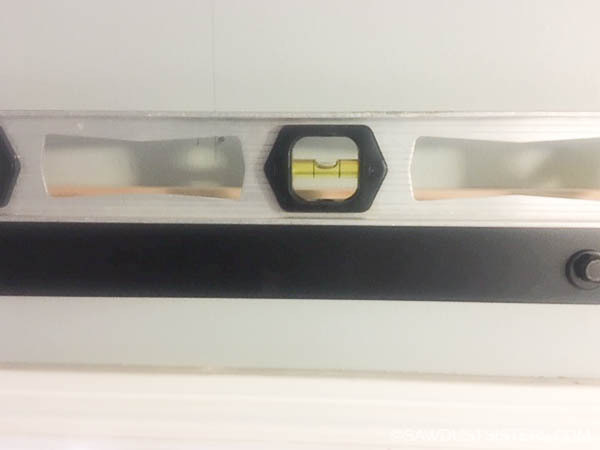 Remember, it is critical that you hang this level. Otherwise your door will slide unwanted. 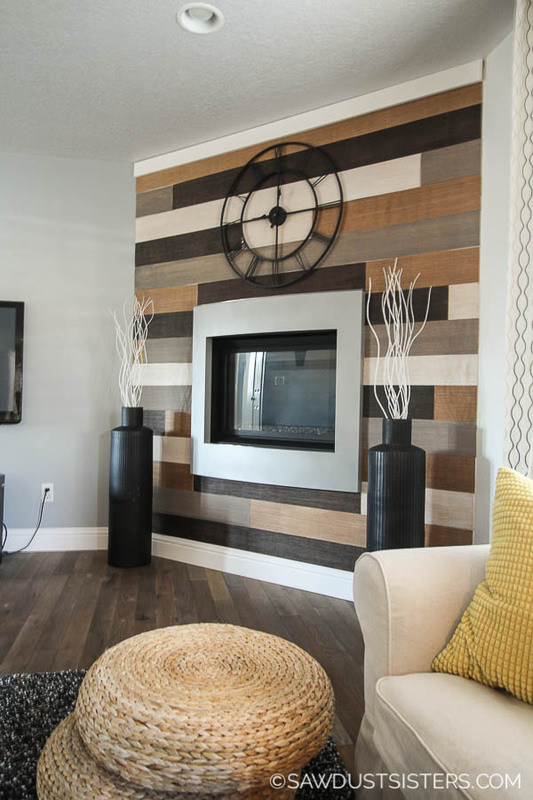 Give it a check as you install each spacer. There’s a little wiggle room at first. Be sure and start with the middle spacers and work your way out. Once you build your door it’s time to attach the hangers. If you’ve been following me for a while, you know how much I hate to measure. Friends, I’m a college professor, and I still struggle figuring out fractions. Luckily I don’t teach math. So, I like to make templates or use “other” ways to mark my place. 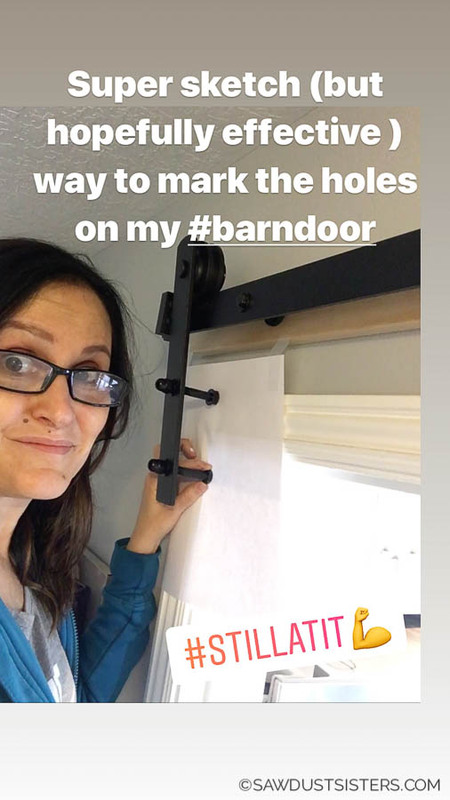 I used a piece of paper as the “door” and marked where I should drill the holes for the hanger. Then I placed my template on the door and drilled the holes. I shared the pic above on my Instagram stories a few weeks back. 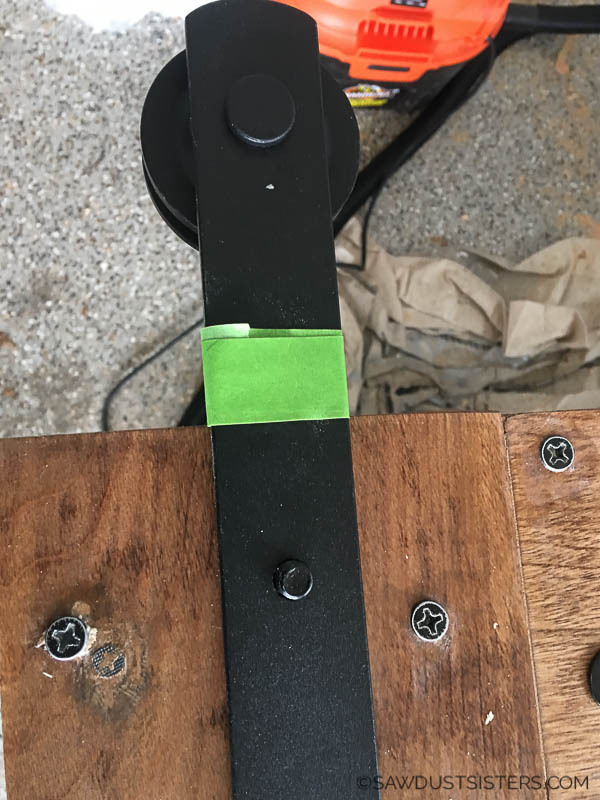 Once I got the holes drilled for one side (I used a drill bit slightly smaller than the screws that came with the kit), I “dry fitted” the hanger and marked the end with tape. Then I used that as a marking to drill holes on the other side. Pretty sketchy, right? Well, it worked and I didn’t have to pull out the tape measurer. The tutorial and plans for the door are coming soon! Be sure to subscribe so you don’t miss out. 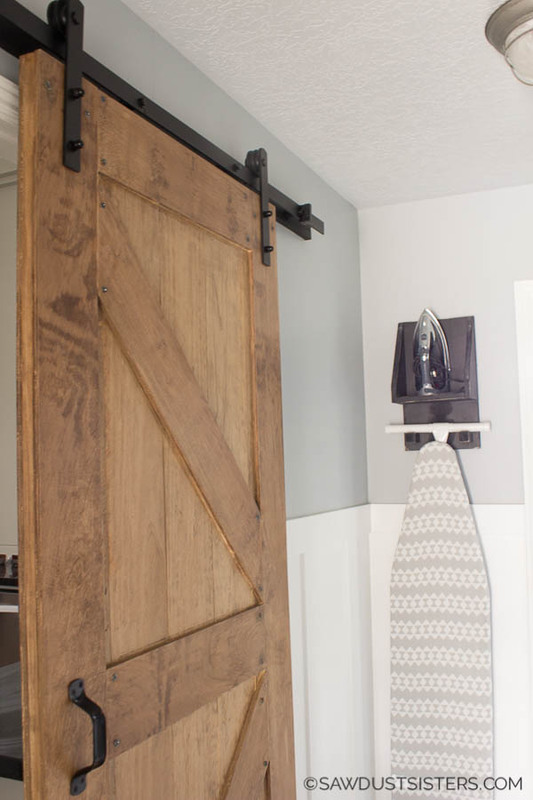 It was tricky to build a door that looked stylish on both sides while still keeping it at 1- 3/4″ thick for the hardware to work. But, don’t worry, I took good notes and will be sharing all the secrets with you. 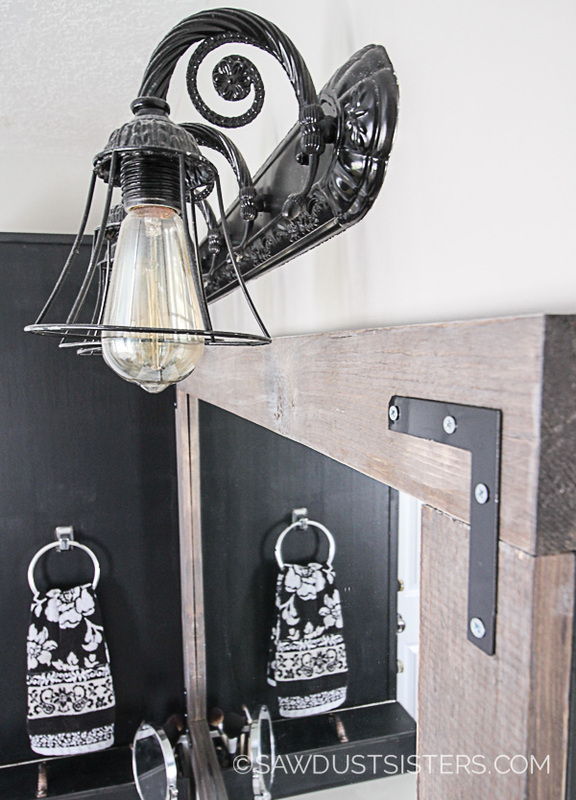 Now that we’re finished installing the hardware and hanging the door, I can finally say that this laundry room is DONE! BONUS: Floor Guide This kit came with a small floor guide, which requires cutting a small groove at the bottom of the door with a router. It also requires drilling the floor. My novice skills prevented me from doing either of those. So, my easy solution was to buy this floor guide on Amazon. 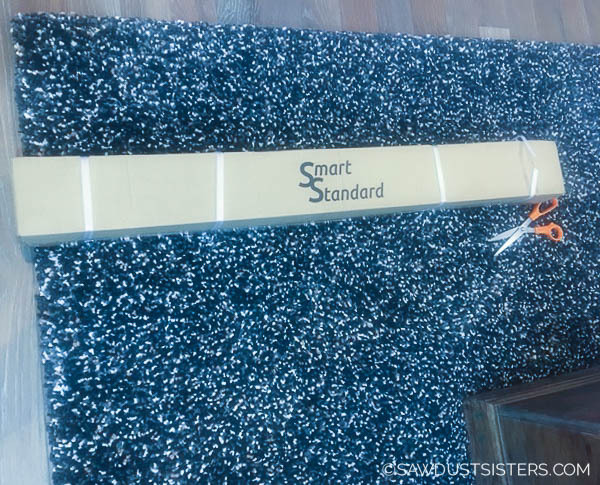 It was super easy to install on the wall (I put mine right on the base board), and there was no need to drill on the floor or use a router. The knobs are adjustable to the width of your door and allows the door to glide easily in between. Please DO NOT let your door “just hang” without a floor guide. It is super dangerous!. This was actually the second floor guide I bought. The first one was a royal pain! Beware of cheaper models and flawed designs.